All about State Bank of India (SBI) Probationary Officers (PO) ✓ Notification ✓ Application Form ✓ Number of Vacancies ✓ Exam Date ✓ Syllabus ✓ Eligibility ✓ Question Papers ✓ Sample Papers ✓ Admit Card ✓ Answer Key ✓ Results ✓ Preparation Tips & more for Entrance Examination will be held in 2019. Preliminary Examination will be conducted tentatively in June 2019. Candidates are advised to regularly check Bank's website www.statebankofindia.com or www.sbi.co.in for details and updates. Graduation in any discipline from a recognised University or any equivalent qualification recognised as such by the Central Government. Those who are in the Final year/Semester of their Graduation may also apply provisionally subject to the condition that, if called for interview, they will have to produce proof of having passed the graduation examination on or before 01.09.2016. Candidates having integrated dual degree (IDD) certificate should ensure that the date of passing the IDD is on or before 01.09.2016. Note : The date of passing eligibility examination will be the date appearing on the marksheet or provisional certificate issued by the University / Institute. In case the result of a particular examination is posted on the website of the University / Institute, a certificate issued by the appropriate authority of the University / Institute indicating the date on which the result was posted on the website will be taken as the date of passing. Irrespective of the date of examination, in case the proof of having passed the examination as on 01.09.2015 is not produced as detailed above the candidate will not be eligible. In order to apply, the candidates are required to visit the official SBI website and submit the forms online. 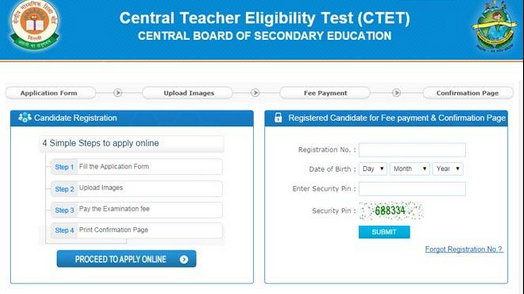 The candidates are required to pay an application fee of Rs 600. The candidates belonging to the reserved category are required to pay only Rs 100. The fee can be paid using debit card or credit card or internet banking. The candidates should have valid email ID which should be kept active till the declaration of results. It will help them in getting call letter/interview advices etc. by email. The candidates will be short listed on the basis of their performances in Phase I (preliminary exam), Phase II (main exam) and Phase III (group discussion and interview). The preliminary exam is likely to be held in June. Results of the candidates who have qualified for GD & Interview and the list of candidates finally selected will be made available on the Bank's website. Final select list will be published in Employment News/ Rozgar Samachar. Reasoning: Focus on Comprehension Reasoning, Venn Diagrams, Number Series, Coding and de-coding, Problem Solving Techniques, Statement & Conclusion type questions, arithmetic reasoning, arithmetical number series, non-verbal series, syllogistic reasoning, Seating Arrangements, Decision Making, Input & Output, Logical Reasoning. Questions form Non Verbal Reasoning may ask in the Exam. English Language: Mainly Focus on the topics like Synonyms, Antonyms, Sentence Error, Sentence correction, fill in the blanks, Sentence Arrangements/ Word Arrangement, Comprehension & Cloze Test nothing can be out of these mentioned Topics etc. Comprehension will be lengthy. DI & Quantitative Aptitude: Questions will be asked from Simplification, Number Series, Quadratic Equations Average, Percentage, Time & Work, Area, profit & Loss, Simple & Compound Interest, Time & Speed, Investment, HCF LCM, Problem On Ages, Bar Graph, Pictorial Graph, Pie Chart. Data Interpretation is the section which have to be focused. General Awareness: Questions will be asked from Indian Current Events, Banking, General Science, General Knowledge. Focus will be mainly on Current affairs of National & International news, Important dates, Current Science, Technology, Sports & Culture & Banking Sector. Questions from Marketing will also be in ample amounts to Test Your Knowledge. Computer Awareness: Basic of Computers, Computer Organization, Generations of computer, Input & Output Device, Shortcuts & Basic knowledge MS word, MS Excel, MS power point, Memory Orientation, Internet, LAN, WAN, Modem, Computer Abbreviations, Modern day Technology. Remember short cut Tricks of MS Word, MS Excel & Computer Abbreviations. Descriptive Test: This Test will be of Qualifying Type & will be Test of English Language. Questions will be ask from Essay writing, précis writing and Letter writing. For Descriptive Test Focus on the Current News of Finance Sector, National Issues, Recent Government Scheme & Editorials from the leading English Newspaper like The Hindu.